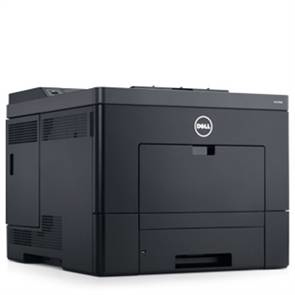 Enhance productivity with the two-side printing power of a high-performance DellTM C3760dn colour laser printer. Offer reliability and value to your medium to large workgroups. - Get the best of both worlds: Combine low cost per page with excellent print quality. - Manage with ease: Help ensure data security with LDAP and Kerberos authentication, and control costly usage with Colour Track Pro v1.1. - Increase efficiency: Increase efficiency: Expedite printing with fast-fusing EA Eco-Toner technology and sleep mode with the touch of the Power Saver button. Produce vivid colour graphics and crisp text with the sophisticated print engine design of ColourbyDell and Innovative Image Enhancement Algorithm. Print volumes in a flash. Blaze through heavy-duty printing jobs at up to 35 ppm (in both A4 mono and colour1). Handle high volume easily with a duty cycle of up to 80,000 prints per month and drum yields of up to 60,000 pages CMYK each(Cyan, Magenta, Yellow and Black). See enhanced value: Take advantage of a low cost per page and reduce operating expenses with paper-saving default duplex setting. Expend less energy: Cut consumption with fast-fusing EA Eco-Toner technology and sleep mode at the touch of the Power Saver button. N-Up feature is designed to let you print multiple pages on a single sheet of paper. Be proactive: Monitor, track and manage colour usage with Colour Track Pro v1.1 and catch costly waste before it happens. Save at the touch of a button: One-touch Power Saver mode puts printer to sleep quickly. Simplify your security: Make password protection easy with the operating panel’s 10-digit keypad. Safeguard sensitive data: Help ensure safe server access via LDAP protocol with Kerberos authentication. 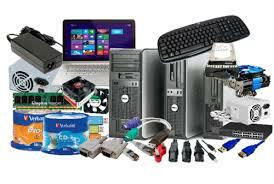 Get further SSL/TLS/CA digital certification encryption with optional HDD.